REDMOND, WA: Microsoft launched an "On the Issues" blog on January 9 to engage in global public policy debates surrounding technology. REDMOND, WA: Microsoft launched an “On the Issues” blog on January 9 to engage in global public policy debates surrounding technology. The blog acts as a platform for the company to offer its perspective on public issues facing the tech sector, in addition to breaking company news related to public affairs, said Brad Smith, SVP and general counsel for Microsoft. “It's important for us to do this to adapt to the changing nature of dialogue on public issues,” he told PRWeek. In the blog's first post, Smith stresses creating a “transparent dialogue” with stakeholders. “To achieve that, we need content that is engaging and also to develop a communications style that is engaging,” Smith said. The company is targeting those interested in public affairs at other tech companies, academics, think tanks, within the government, and journalists to build the site's community. He expects the blog to eventually feature 30 to 50 Microsoft employees, primarily from its government and legal sectors or its business leaders. 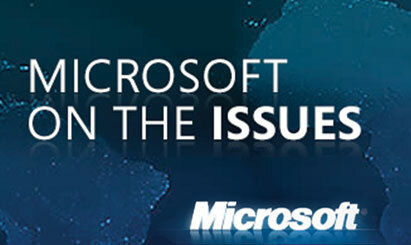 Other bloggers on the site have so far included Pamela Passman, VP of global corporate affairs at Microsoft. In response to economic woes, Passman addressed workforce development, skills, and training issues in her post. He is currently focused on developing blog content that is informal and inviting for others to participate. Microsoft's internal team developed the project.